The Best Brooklyn Blogs from thousands of Brooklyn blogs in our index using search and social metrics. We’ve carefully selected these websites because they are actively working to educate, inspire, and empower their readers with frequent updates and high-quality information. Brooklyn About Blog Brooklyn Based has been delivering the best of Brooklyn to inboxes since 2007. As an email magazine we help our readers navigate Brooklyn’s amazing food scene, explore neighborhoods around the borough, plan day trips and longer getaways, decode the secrets of modern parenting, and choose what to watch, read and see in Brooklyn and beyond. Facebook fans 11,554. Twitter followers 49,116. Facebook fans 22,057. Twitter followers 81,806. Brooklyn, NY About Blog Scott and Daniel Stedman's Brooklyn Magazine is a guide to the life and lifestyle of Brooklyn's people and news. Facebook fans 44,782. Twitter followers 41,781. Brooklyn, NY About Blog BKLYNER is your go-to source for Brooklyn news, one neighborhood at a time. News, Food, Events, Neighborhoods. BKLYNER is a daily neighborhood news site for Brooklyn, from Park Slope, Fort Greene, Bensonhurst, to Ditmas Park / Flatbush and Sheepshead Bay. Facebook fans 38,225. Twitter followers 3,149. Brooklyn, NY About Blog Brooklyn real estate news, search NYC sales and rentals, browse hundreds of New York City home improvement contractors, architects, and more. Facebook fans 22,914. Twitter followers 26,539. New York About Blog Brooklyn Street Art is a resource for fans and friends of the dynamic and explosively growing street-art and graffiti scene in New York. Brooklyn Street Art supports the arts, the artist community and the creative spirit, and we always encourage people to respect the property of others. Facebook fans 234,270. Twitter followers 45,409. Brooklyn, New York About Blog Edible Brooklyn celebrates the borough's diverse food and delicious culture. We're your guide to everything edible in the great borough of Brooklyn. Facebook fans 15,290. Twitter followers 35,916. 79 N 11th Street, Brooklyn, NY About Blog Brooklyn Brewery makes beer. Good beer. Not only does it taste good and make your meal better but we like to think that since its founding in 1988, Brooklyn Brewery has brewed flavorful beers that enrich the life, tradition and culture of the communities it serves. Facebook fans 97,878. Twitter followers 135,658. Facebook fans 82,396. Twitter followers 148,478. Brooklyn, NY About Blog Developed by the Brooklyn Chamber of Commerce, Explore Brooklyn is Brooklyn’s tourism department, helping visitors and locals to explore this great borough! Discover the best places to eat, stay, shop and play in your favorite borough. Facebook fans 5,672. Twitter followers 7,009. Brooklyn About Blog Brooklyn Heights Blog, dispatches from America's First Suburb. Chronicling daily news from the Brooklyn Heights Historic District in New York City. Facebook fans 45. Twitter followers 5,036. Brooklyn About Blog Your best source for quality Brooklyn Nets news, rumors, analysis, stats and scores from the fan perspective. Facebook fans 29,381. Twitter followers 21,816. Brooklyn, NY About Blog A Child Grows in Brooklyn is considered the virtual “home” for Brooklyn parents and the first stop for expectant, new and seasoned parents. Learn about parenting resources, schools, camps, classes, neighborhood news, family friendly events, gear, trends and everything in between. Facebook fans 8,732. Twitter followers 14,747. San Francisco, CA About Blog Discussion related Brooklyn latest news and happenings in the New York borough. Facebook fans 1,187,619. Twitter followers 557,021. Facebook fans 3,968. Twitter followers 2,194. Brooklyn, New York About Blog A Brooklyn Blog. Making Sense Of A Crazy World Just Like Everyone Else! Updated Daily Except When It's Not! Facebook fans 2,838. Twitter followers 911. Brooklyn About Blog Brooklyn Bridge Parents covers family-friendly things to do, schools, classes, parks & playgrounds for children in Brooklyn. Brooklyn About Blog Art in Brooklyn promotes local artists and art events. Facebook fans 306. Twitter followers 2,287. Brooklyn, NYC About Blog Elvira Kalviste is a Brooklyn based award winning creative documentary wedding and portrait photographer. Weddings, Portraits, Engagements, Anniversary Shoots. Brooklyn, NY About Blog The Brooklyn Stylist is a lifestyle blog about *realistic* style ideas, wardrobe advice, cool things in Brooklyn, and a behind-the-scenes look at the fashion industry by Brooklyn-based fashion stylist, Liz Teich. Facebook fans 524. Twitter followers 1,032. Brooklyn About Blog A newsboard for reporting bird sightings, happenings & announcements,miscellany in north Brooklyn and the 3 main central north Brooklyn green regions : historic Prospect Park, Brooklyn Botanic Garden , & Greenwood Cemetery.A service for Brooklyn birders and visitors. 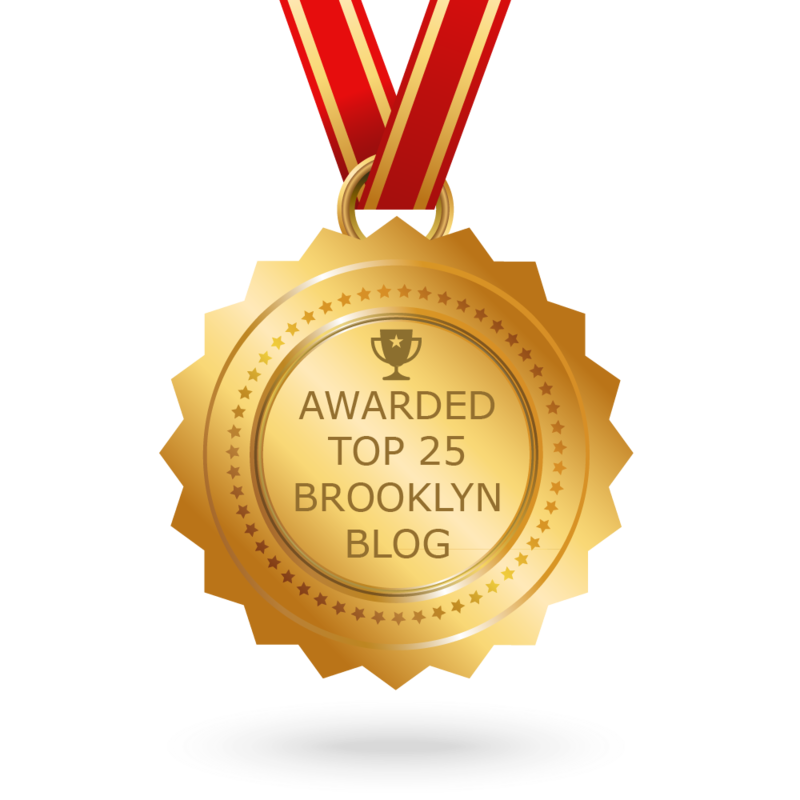 CONGRATULATIONS to every blogger that has made this Top Brooklyn Blogs list! This is the most comprehensive list of best Brooklyn blogs on the internet and I’m honoured to have you as part of this! I personally give you a high-five and want to thank you for your contribution to this world.